The Range features a 250 capacity room, with a full sound system, wooden dance floor, and a comfortable space for lounging, people-watching, partying, or hanging out with friends. Really like this place for a relaxing location to enjoy some drinks! Decent bar with good beer selection and live musical performances. Darts and popcorn machine are a bonus! 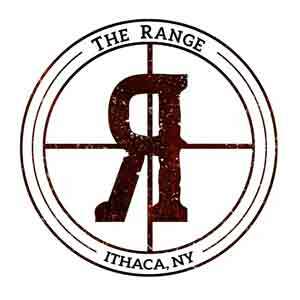 The Range is truely a one of a kind live music venue located in the heart of Ithaca, Downtown on The Commons. The Range cultivates the mature, respectiful crowd of Ithaca's local music scene and facilitates amazing live music and performers.